Ontario has taken necessary steps to eliminate the use of solitary confinement for one vulnerable population: those suffering with mental illness. It should do so for another: incarcerated youth. A couple of weeks ago, a jury looking into the suicide of Yousef Mohamed Hussein, an inmate who took his own life in segregation in an Ottawa detention centre back in 2016, came out with 29 recommendations for dealing with inmates with mental health issues. Among them was the suggestion that unless there was "clear and obvious" misconduct, inmates should still be allowed some interaction and communication with others. Earlier this year, the Ontario Human Rights Tribunal issued a consent order to end segregation for the mentally ill, identified as a vulnerable population group. The province has signed on and agreed to end the practice in those cases, but it is still being used on another vulnerable population: youth aged 12 to 17. In Ontario youth corrections, this practice is currently called "secure isolation." According to Ontario law, secure isolation refers to when a youth is locked in a specifically designated room to isolate him or her from others. Other provinces have similar practices. There are some differences between secure isolation for youth and segregation for adults — for example, in the case of youth, segregation cannot be used solely as a punishment tool. However, they both meet the UN definition for solitary confinement when used for over 22 hours. And, according to the UN Mandela Rules, solitary confinement should be prohibited for youth. Youth in isolation can spend up to 23 hours a day locked in a cell. The Provincial Advocate for Children and Youth of Ontario reported that in 2014, nearly a quarter of all secure isolation placements lasted for 24 hours or more. 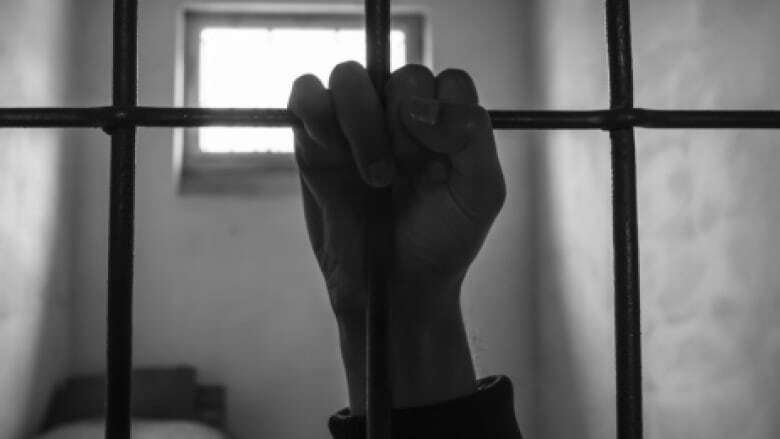 In 2013, one youth was held in isolation for 17 days. Currently, the Child and Family Services Act states that secure isolation should only be used as a last resort. By law, these youth should be released as soon as any "threats" are no longer a concern. However, isolation can sometimes be used as an insidious tool for disciplining youth deemed to be "troublesome" by guards. The Residential Services Review Panel assembled by the Ministry of Children and Youth Services (MCYS) suggests that "the legacy of the adult correctional system's approach to managing youth in conflict with the law and the inability for some to shift to a less authoritarian, youth-centred culture" may affect guards' relationships with youth. Thus, some guards may be using isolation when it is not appropriate or necessary. Proponents of secure isolation argue that its use is a necessary evil to deal with deviant youth, preventing them from hurting themselves and/or others. There are also claims that time in isolation is time to reflect on wrongdoing and reconsider one's behaviour. However, these arguments are misguided. According to criminology professor Kelly Hannah-Moffat from the University of Toronto, "there is little empirical evidence to show that [isolation] actually increases the safety of a facility." Results from Larocque's 2017 research (some of it from the U.S.) indicate that neither the use of segregation, nor its duration, had any effect on institutional violence. Additionally, in Bacon v. Surrey Pretrial Services, the court stated that "inhumane treatment cannot be justified on the basis of a choice between physical safety and psychological integrity." Evidence shows that time in isolation actually contributes to psychological harm for youth, leading to things like anxiety, depression and even hallucinations. For a population that is still developing mentally and physically, these effects are particularly harmful. Historically, Canada made no distinction between youth and adults who came into contact with the justice system. Today, our criminal law has evolved to acknowledge that children have different needs and can benefit from less punitive interventions. In particular, the Youth Criminal Justice Act emphasizes rehabilitation and alternatives to incarceration in sentencing. However, secure isolation runs contrary to these principles; incarcerated youth are doubly punished when subjected to incarceration and isolation. Indeed, research suggests that individuals who have been placed in solitary confinement may experience long-term or even permanent negative effects, which runs contrary to the stated objective of preparing these youths for reintegration into the community. Beginning this week, new legislation will address the isolation of youth in Ontario custody centres. Although there have been some commendable efforts to improve the practice, such as the potential for increased monitoring of youth in isolation, these changes don't go far enough. The new Child, Youth and Family Services Act still allows for the indefinite isolation of youth aged 16 or older with the provincial director's approval. This unfettered discretion opens the door for misuse. In 2011, the UN Special Rapporteur on torture recommended a complete ban on isolation for youth. We agree. Ontario has taken necessary steps to eliminate the use of solitary confinement for one vulnerable population. It should do so for another. Cristina Tucciarone, Ferdouse Asefi and Sebastian di Domenico are MA candidates from the Centre for Criminology and Sociolegal Studies at the University of Toronto.